Did you graduate from UGA with a history degree? Tell us what you're doing now. What is your job? I am the operational manager at an industrial facility that just expanded to the U.S. from Germany. Since it is a start-up expansion, my role is diverse daily. 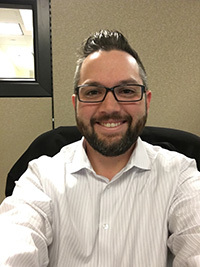 So far, I have been asked to hire and fire employees, work with/travel to suppliers and customers (in Europe and the U.S.) to build relationships and offer support, prepare the schedule for production, work in the shop to better understand the product, and generally handle the in-housekeeping needed in the up-start of a new office (dealing with insurance, health care, etc.). How did you find that job, and what do you think helped you get it? I found my job through a family member. They were looking for a fresh-out-of-college or young person who they could mold in the proper way for supply management. Due to my burgeoning abilities, I was able to apply myself into a different position in Operational Management. Being well-spoken and able to think critically definitely played a role in getting and maintaining this job. Also, since the company is headquartered in Germany, being able to speak German and have an understanding of different cultures helped as well. How does your work play to strengths you developed as a history major? Being well written/spoken, understanding how to do research, and being able to think critically has been enormously important in my job. One specific example I can think of is getting our company to become a Foreign Trade Zone. It requires a lot of adherence to customs regulations, so I had to read all of the regulations and frame our production process and inventory system to the desires of customs. Outside the regulations there were more sources that needed to be utilized and organized. Being able to know what is important to read and share versus what is not was critical. We needed it done eight months, usual FTZ activation is 18 months, and due to these developed skills from my history degree background, we got it done in six. I would say that having a no degree in the field you're applying for has no bearing (in my mind) on hiring when it comes to business (outside of perhaps accounting or another field where there is specialization or certificate needed). If I could have someone that would apply themselves and work hard and be willing to learn, I would take that over all the relevant field experience in the world. I would come close to selling my soul for it, actually. What is your current job? I am currently a legislative aide with the U.S. Senate Committee on Veterans' Affairs (SVAC) and a staff writer for the foreign affairs website "Charged Affairs." My day to day consists of keeping tabs on veterans related legislation and issues by day, and by night I write a monthly published op-ed on foreign policy related issues, usually related to nuclear nonproliferation. How did you find this job? Well, step one was moving to the DC Metro area. Having degrees in history and international policy from UGA definitely helped give me the skills necessary to get onto the Hill. What other jobs have you had since graduating? After earning my History degree in 2012 I returned to UGA to earn my Master of International Policy degree in 2015. Prior to getting my job with SVAC, I was the 2017 Nuclear Security Fellow for Young Professionals in Foreign Policy, the organization that runs "Charged Affairs." How does your job play to strengths you developed as a history major? The research and writing skills I developed while earning my history degree have proven invaluable to me in my current positions. The most prominent example is my portfolio of articles I have had published through "Charged Affairs." When examining a foreign policy issue for an article, I try to look at the history of events leading up to the present to provide the context necessary for an informed position. Without my history degree training, I would not have this sort of "long-term thinking." What is your current job? I’m an ordained minister in the United Methodist Church. I lead a church plant and campus ministry at the University of West Georgia. 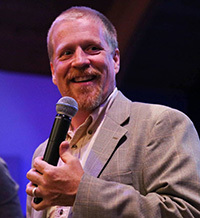 I spend my time writing sermons, developing relationships with students and community members, and mobilizing my congregation to make a difference in the city of Carrollton. Before that I worked in multiple roles over a 6 year period at the First United Methodist Church of Lawrenceville. How did you find this job? Ordination required a Masters of Divinity degree, which I received from the Candler School of Theology at Emory University, as well as a three year residency program after graduation. I was appointed to serve here by my bishop. How does your job play to strengths you developed as a history major? There’s a lot of research and writing that goes into being a pastor. It also helps a great deal to understand the history of diverse cultures both in connecting with the larger community and in attempting to build a multicultural church. What's your current job? CEO, DecisionLink Corporation. DecisionLink is a SaaS (Software as a Service) company headquartered at the Atlanta Tech Village in Buckhead. We built an enterprise-grade business platform to enable companies to better communicate the value of their products and services to prospects and customers. Our customers include VMWare, Caterpillar, Equifax and Crowdstrike. As CEO of a small tech company, my job involves sales, marketing, product direction, finance, operations, etc. But the part of my job that is most rewarding is as an evangelist developing a new business sector and first of its kind application and process for businesses. How did you find this job? 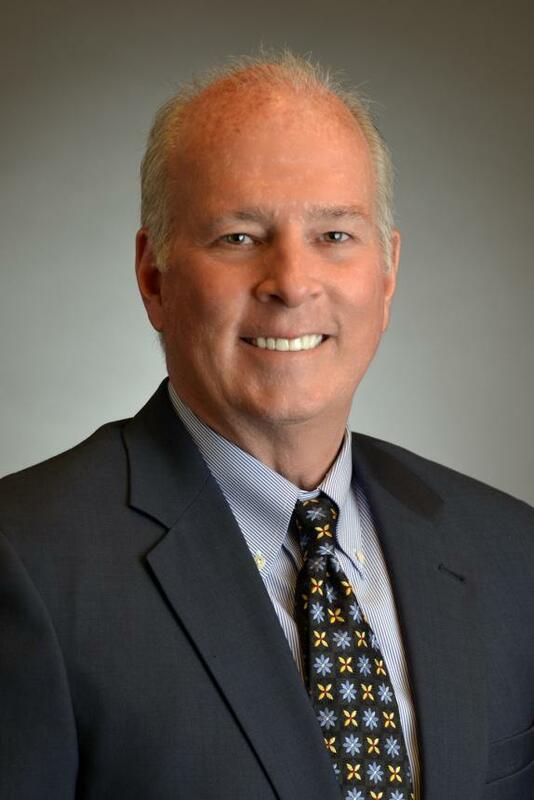 I spent 30+ years in the technology industry, leading sales organizations of as many as 1000 people. I took a break in 2008-2010 to finish my long overdue undergrad degree, being fortunate to enroll at UGA. Upon graduation I spent several months assessing the potential to build a company to address what I call the "customer value problem" and founded DecisionLink in mid 2011. How does your job play to strengths you developed as a history major? I've always considered myself to be fairly capable as a leader, writer and analytical thinker. However, the skills I developed while pursuing my degree had significant impact in my work to develop my company. Writing: I wrote a couple dozen papers along with my senior thesis. My skill in building the "story arc" of a message and then communicating and defending it has served me very, very well. Critical and analytical thinking: My career in leading sales organizations was rewarding, but relatively narrow. Envisioning and defining a new business sector and then founding a company to address that sector is radically different. Whether dealing with a big, strategic premise or a smaller, tactical challenge, my abilities were enhanced by my coursework. The question of the value of a liberal arts education is unmistakable. Leadership: This was probably more about being inspired by the study. Lincoln, Harriet Beecher Stowe, Frederick Douglass and many others, even Ghengis Khan. There are many times these come to mind when I'm working to eclipse tactical situations and get to "the big idea." I graduated from UGA with a major in history in 2007. After working for a couple years for immigrant advocacy groups in DC and Nashville, I went to law school with the goal of becoming a more effective advocate for the underprivileged. I graduated two years ago, and I have spent two fantastic years clerking for judges on the federal court of appeals and the federal district court in Philadelphia. In the fall, I will start my dream job -- a fellowship with the Juvenile Law Center in Philadelphia, where I will tackle a project designed to help youth with disabilities who are in foster care or the juvenile justice system successfully transition to adulthood. Youth with disabilities are significantly overrepresented in those state systems, and they face a high risk of poor long-term outcomes, such as homelessness, unemployment, and incarceration. My project aims to improve the treatment and transition-planning that these kids receive while still in state care, with the hope that they will then be better equipped to thrive as adults. My degree in history has been invaluable to getting me to where I am today. A history degree really focuses your education on research, writing, and critical thinking, three skills that are vital in most advocacy positions. In all of my jobs so far, I have relied on my ability to examine a problem critically, access the information needed to solve it, and then write a coherent response -- all skills I honed as a history major. My history degree also improved my oral communication skills; few majors offer so many small, discussion-based classes where you can learn to think on your feet and express yourself well in front of your peers. And perhaps most importantly, my time in the UGA history department taught me the importance of understanding historical context when addressing current, real-world problems. The legal landscape that governs how youth experience foster care did not appear out of nothing; it is the product of historical circumstances, as are the social conditions these kids experience that prompt the need for state intervention. By striving to understand those historical circumstances, I am better able to develop effective solutions that will make a real difference for at-risk youth. What is your current job? Elementary school teacher. I have worked in both 1st and 4th grades, teaching students in all major content areas (Reading/Language Arts, Math, Science, and Social Studies). I accepted this position upon completion of my Master of Arts in Teaching and obtaining my teaching certificate. How does your work play to strengths you developed as a history major? I utilize everything that I learned throughout my major course work in history to help me make history come alive for my students in Social Studies. What is your current job, and what other jobs have you had since graduating? 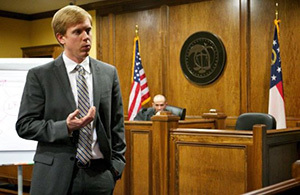 The study of history led me to the practice of law, which yielded positions at the Georgia Supreme Court and a large law firm. Recently it gave me the courage to start my own personal injury practice, Kevin Patrick Law. How does your work play to strengths you developed as a history major? Fifteen years ago, my friends questioned my decision to pursue a history degree, especially one that focused on the study of the Roman Republic. They thought history was an out-of-date major! Nonetheless, I was guided by the words of Marcus Tullius Cicero: "To be ignorant of what occurred before you were born is to remain always a child. For what is the worth of human life, unless it is woven into the life of our ancestors by the records of history?" Both in ancient times and today, history fosters logic and critical thinking, inspires creativity and ingenuity, and most importantly, recognizes the humanitas in each and every person. What is your current job? Senior Manager of Marketing Strategy and Insights. I currently direct the consumer insights and analytics department for a national restaurant chain. I research, analyze, and organize customer data in order to drive marketing, product, and business decisions for my company. How did you find this job? I sort of “backed in” to my career in analytics and insights. After graduating, I was hired by AIG and worked for a year and a half helping sales teams develop sales plans through market research data. I quickly discovered that looking at business data was much like studying primary sources of history. There’s more numbers involved, but the process is the same. Because I could explain my research results in a more personable form (rather than just show a bunch of numbers), my department managers were quick to tell me that I would succeed in this career faster than most analysts with a math degree who struggled to provide a human element to their data results. I then was able further my analytics and insight career with stints at State Farm and Allstate. Insurance and financial companies have some of the biggest customer databases in the world. Getting to research and analyze so much customer data going back to the 1930’s was a great asset. Understanding the customer journey through data research is the same as trying to understand the people of a particular period in history. What was their daily life like? What drove their beliefs and habits? What effect did their landscape or government have on their behavior? Today I use those same questions to help my current company market to consumers. How does your job play to strengths you developed as a history major? I always get asked how I got to where I am with a degree in history. My answer is easy — no other field of study but history gives you the research and analytical skills to drive business decisions. Using those skills has driven my career path. Much like researching particular historical sources, I take data and ask — How is this relevant? What are the causes? What are the effects? What can we learn from this to better understand the situation? I cannot express enough the benefit of having the skills of research, extensive reading, critical thinking, and writing in today’s business world. The ability to take data and organize it into a concise, well written form that can give business executives the ability to fully understand their organization is an amazing asset afforded to me. Studying history has also given me the ability to always look at data objectively without any bias. One of my history professors at UGA once told me to question everything. This has allowed me to make accurate conclusions and business decisions based on my research. What is your current job? Trial and immigration attorney. I represent working-class Georgians and Latino immigrants in criminal, civil, and immigration actions across Georgia. 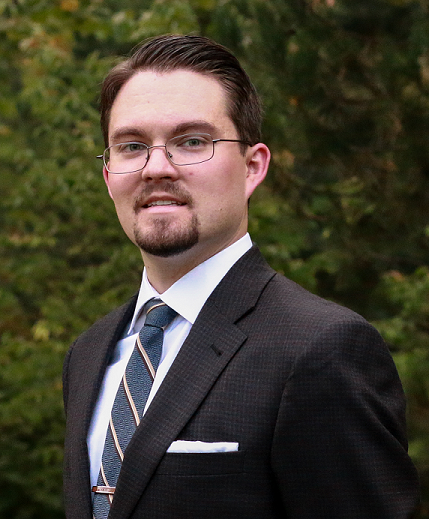 I previously worked as a judicial intern, public defender, and associate attorney. I undoubtedly accomplished each of these positions as a result of the writing skills I attained as a history major at UGA. How does your job play to strengths you developed as a history major? I use the writings skills developed at LeConte on a daily basis. Elizabeth C. Charles works in the Office of the Historian at the U.S. Department of State as a researcher and documentary editor for the Foreign Relations of the United States (affectionately known as FRUS) series. She has compiled two volumes on the Reagan administration’s policies toward the Soviet Union 1983-85 and 1985-86. She is currently working on a volume on the Intermediate-Range Nuclear Forces Treaty, 1983-1988. Soon, she will begin research in the George H.W. Bush records, compiling the final Soviet Union volume and a volume dealing with the establishment of diplomatic relations with Soviet successor states and Russia. 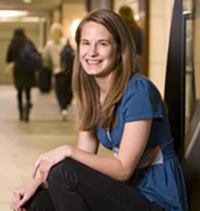 Elizabeth finished her PhD in Modern Russian and Cold War History at the George Washington University in 2010, an MA in Russian History from Boston College, and a BA in History from the University of Georgia. Go Dawgs! She serves on the Executive Council of the Society for History in the Federal Government, on the Training and Curriculum Committee of the National Council on Public History, and is a member of the Society for Historians of American Foreign Relations. What is your job? Associate Professor and Director of Undergraduate Studies at the University of Alabama. In 1989, I was a business major who got a flyer in the mail about the UGA at Oxford Program. I decided to "take care" of my history credits at Oriel College that summer. The first night, right off the plane, I was having a pint of beer (legally!) in a pub that was...seven hundred years old. I never got over that feeling. I spent the summer researching and writing papers on early church history and traveling Europe, from the Catacombs to the Louvre. I came back and changed my major. Joe Berrigan was my new mentor, and under his direction I completed an honors thesis on the eleventh-century ascetic and reformer Peter Damian. Dr. Berrigan — Joe as I called him in later years — helped me get in to the University of Notre Dame, where I got my PhD in Medieval Studies in 2002. The next year I won the academic lottery: I was fortunate enough to be offered a tenure-track job at the University of Alabama, where my father was a graduate of the dental school, and where my uncle served on the faculty of Engineering for 35 years. What is your job? Executive Director of Reintegra which is based in Lafayette, CO. We provide educational and vocational grants to survivors of human trafficking in Mexico. They are all studying in Mexico City. Of the women we support, five have recently finished their undergraduate degrees. One is a clerk for the Supreme Court of Mexico while pursuing a Master's Degree in Law. In my role as Executive Director I oversee the work, raise funding and advocate against human trafficking. Because it is part-time work, I also am a consultant for community partnerships in the local school system focusing on helping 1st-3rd graders with literacy. I create a platform for local people who want to volunteer with classroom teachers who have students who need extra 1-1 reading help. The past three we have had sixty volunteers give an hour a week and are looking to expand to more schools with the start of the school year in the fall. How did you find this job? From 2009-2014, I was a partner of a safe home and then of Reintegra. In 2014, its founder and my good friend, German Villar, died suddenly. All the funding stopped and the foundation was closed on his death. Several of us felt like something had to be done for these women to finish their education and for more who wanted to begin. So we created the non-profit in the U.S. for this purpose. My work in schools began in 2010 with a community based partnership at the elementary school my sons attended. That evolved into a literacy-specific partnership. I started having other schools ask for similar help and that has led to the consulting platform. I was also awarded an Impact for Education award by the Boulder Valley School District for my work. What other jobs have you had since graduating? When I graduated I started working with a campus student group and worked with them for twenty-three years. I was able to travel to six continents to help start groups and in the last ten years have overseen teams on over 50 universities internationally. My focus on university students changed dramatically in 2007 when I spend time working among orphaned children in a township in South Africa. While there was a common thread of mobilization of volunteers, strategic planning and education, my focus switched to using those efforts to help bring justice and mercy to people on the margins. Over the last 9 years I have mobilized people of all ages to address unsafe drinking water, help with flood relief, relocate refugees and providing loans to help those in poverty start jobs. My focus on human trafficking issues began in 2008 when I was exposed to this issue and while I wasn't looking to start this non-profit, it fits what have been my passions, experience and interests. How does your work play to strengths you developed as a history major? I always felt my major in liberal arts gave me a well-rounded platform. The pursuit of the "why" and "how" of history (instead of just the facts of "when," "what" and "where") as I researched and studied still plays in the way I address problems looking for solutions to global problems on a local level. What is your job? I am currently the Deputy Director for Intelligence & Security, US Army Maneuver Center of Excellence, Fort Benning, Georgia. I oversee a staff of 25 intelligence and security professionals who administer nine security disciplines and two intelligence functions for the US Army's largest training base. What other jobs have you had since graduating? 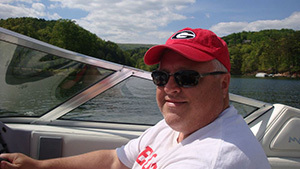 Since graduating from UGA in 1983, I served 11 years on active duty in the US Army as a Military Intelligence Officer, with assignments in Arizona, Germany, Kansas, Kentucky, Maryland, and Turkey. After leaving active duty in 1984, I served in a variety of intelligence and security positions with private industry, NASA, State Department, Defense Intelligence Agency, and US Army. How does your work play to strengths you developed as a history major? My degree in History from UGA has served me well in my career. The mentorship and advice I received from my professors back in the early 80s still echo in my ears to this day. As a long-time professional in the Intelligence Community, I can attest to the fact that one has to be adept in the continuous study of history, and apply that knowledge to the happenings of the day. The great leaders and decision makers I have worked for used history as a tool, as well as a weighted factor, before executing courses of action. As a history major I focused on the political & social history of Europe during the decade 1930-1940 up to the outbreak of WWII. I minored in twentieth-century Russian studies. In the fall of that year I was about to begin to a masters program at Georgia State University when I got caught up in the never ending Vietnam War and was about to be drafted into the military. I was advised that the USAF had an exceptional Russian language program so I enlisted, went through basic training and learned that I was accepted to the military's East European Language Institute at Syracuse University. All of our instructors were native Russians who drilled into us the importance completing the program so that we could help "rid mother Russia of the Bolsheviks." Upon graduation I was transferred to a small base in Texas to learn the finer points of signal and voice intercept. I was finally assigned to Eielson AFB near Fairbanks, AK. There I was part of a team who flew RC-135s over the pole and along the coastal areas of the Barrents Sea, where we conducted surveillance of military installations. We conducted these same missions in the Baltic regions. After working on these flight operations for two years I was transferred to the National Security Agency in Fort Meade, MD to translate and analyze Soviet voice communications. After several years at NSA if left to work in the private sector opening distribution channels for several US apparel and textile manufacturers. I traveled extensively in western Europe and the UK. In 2006 I began working with several apparel and textile executives in Georgia to establish the Georgia Softgoods Education Foundation. Also later that year we endowed a Chair of Soft-Goods Studies at the College of Family & Consumer Science at UGA. Since then the program has become popular at FACS, and 50 students enrolled in Fall 2018. The soft-goods curriculum includes global sourcing & manufacturing, product marketing, computer aided design. In addition to my involvement at UGA I am past president of the Northeast Georgia History Center located on the campus of Brenau University in Gainesville. The Center's mission is to preserve and share the history of northeast Georgia. To that end we use our new digital studio to create lectures, videos, and stream to smart classrooms. Teachers, educators, and students say our productions are very beneficial to understanding the historical narrative of our region. What is your job? Retired partner, King & Spalding law firm in Atlanta. Head of the health law department at King & Spalding prior to my retirement. Past President, American Health Lawyers Association. Member, Board of Directors, 21st Century Oncology, Inc.; Member, Board of Directors, Grady Memorial Hospital Corporation (2008-2015). Editor in Chief, Journal of Health & Life Sciences Law (2007-2015). How does your work play to strengths you developed as a history major? Great field in which to major! At Yale Law School, I thought the best prepared-for-law-school students were those whose undergraduate majors were history, math or English. Majors taken to duck difficult courses or to avoid hard work were not well prepared for a leading law school. What I did in history resembled what I did in law: learn and digest large amounts of information; figure out or try to figure out what was material or really important; notice discrepancies — I could go on, but you get the idea.